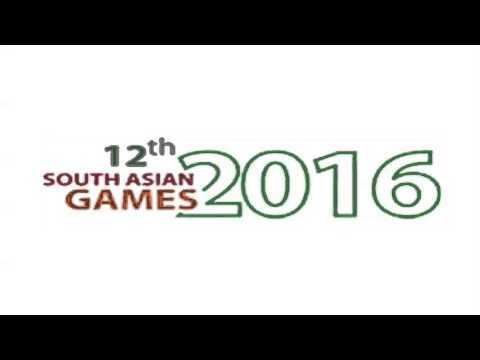 The 12th South Asian Games has begun in the beautiful North Eastern cities of Guwahati and Shillong, India. Athletes from eight-member countries namely, Afghanistan, Bangladesh, Bhutan, India, Maldives, Nepal, Pakistan and Sri Lanka are participating in 23 different sporting events. Indian Prime Minister Narendra Modi inaugurated the 2016 South Asian Games in Guwahati on 5 February 2016. South Asian Games, which is also popular as the Olympic Games of South Asia, aims not to just merely conduct a sporting event of an international class, but also to involve the youths of the regions and acquaint them with different sporting activities. The event is unique since it promotes sports with a view to boost up the team spirit as well as an amiable relationship between the South Asian countries. Here are a few interesting facts one should know about the logo, theme song and the mascot of the 12th South Asian Games. The logo is a flower which has eight petals representing the countries participating in the 12th South Asian Games. The petals are seen to be moving in a clockwise direction, showing the positive spirit of the games. The logo also resembles a head gear that was given to the winners of the games during the ancient times in Europe. The logo has been designed by Abhijeet Krishna of NIFT Patna. The Logo and the Mascot of the Games were selected from around 450 entries each. One must have seen a sporty baby rhino roaming around the South Asian Games. Well, that’s the lovely mascot ‘TIKHOR’ of the Games. Tikhor is the Brand Ambassador of the 12th South Asian Games, 2016. Tikhor is a famous character in Assamese folk literature, who figures in a story called ‘Tikhor aru Chutibai’ by Sahityarathi Lakshminath Bezbaroa, the pioneer of modern Assamese literature. TIKHOR is someone who is sharp, naughty, sporty and modern. He is all-rounder, active, energetic and popular among kids. The rhino calf with a blue cap, red T-shirt, and blue shorts is the messenger of peace, prosperity and amity in the 12th South Asian Games. ‘Ei prithivi ekhan krirangan, krira hol shantir prangan’ which means, ‘This world is a playground and sports is a symbol of peace’, is the theme song for the 12th South Asian Games. The song was written by Dr. Bhupen Hazarika, the famous Indian lyricist, musician, singer, poet and filmmaker from Assam. Though the song was composed back in 1995, it fits so well with the very spirit of the South Asian Games that intends to promote peace and cooperation among the neighboring nations. It seems as if Dr. Bhupen Hazarika had specifically composed the song for the occasion. The song is being translated into at least eight languages to represent the eight participating nations.